Berlin's Zeiss Planetarium Has a Brilliant LED Ceiling and Über-Futuristic Cafe Inside! 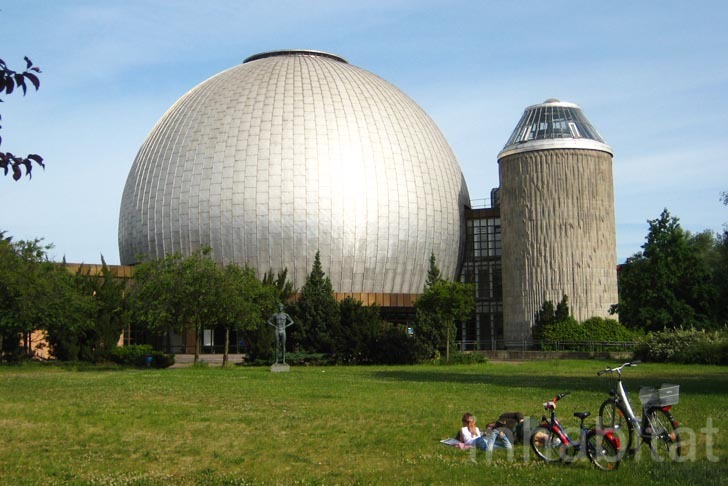 The Zeiss Planetarium is located within Berlin’s Ernst-Thälmann-Park, a green space created as a “socialist park,” with high-rise residential buildings and a cultural center with restaurants and a planetarium inside it. With a 100-foot-tall dome — one of the largest in the world — the building features a textured concrete tower that shelters spiraling stairs. 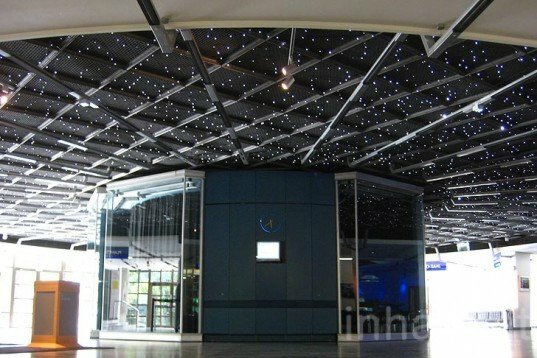 Inside the building, visitors are greeted with a gorgeous star-filled ceiling that features thousands of sparkling LED lights. The round entrance hall features a permanent astronomy exhibition, making the mysteries of our solar system seem more accessible. With round tables and chairs matching the giant dome, a blue-lighted futuristic cafe on the ground, is the perfect space for coffee and bretzels. Full of interesting futuristic details like a back-lighted wall clock and a changing colors-triangular sculpture made from acrylic, Berlin’s Zeiss Planetarium offers a magical journey into the sky.